Join me as I review my year – the exhibitions and places I have visited and the things I have blogged about – together with my favourite post each month. If you want to ensure you don’t miss any of my posts in 2015 and are the first to hear my news each month, please sign up to my monthly newsletter here. The year started with some of the worst storms I can remember. The road across from where I live in Weymouth in Dorset to the nearby Isle of Portland was shut and Chesil Beach was reshaped by the ferocious waves. 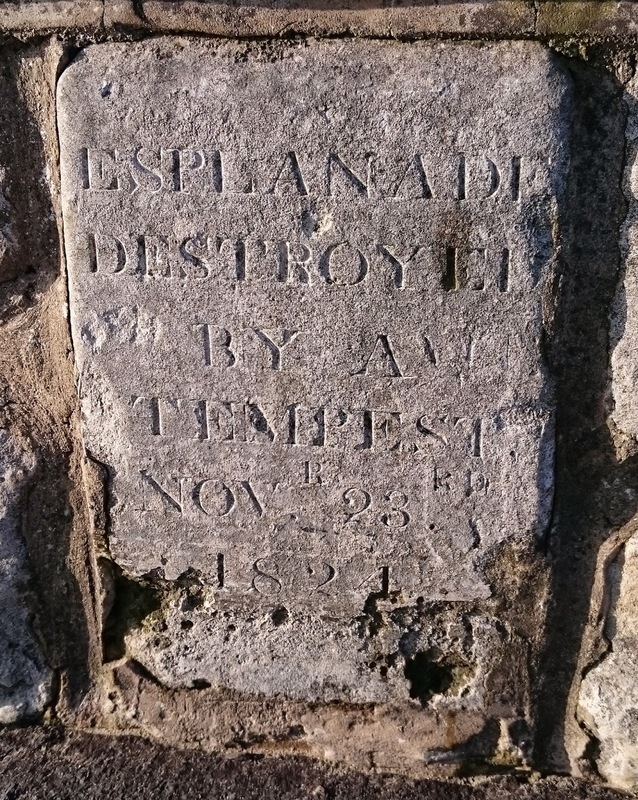 It prompted me to write about the Great Storm of 1824 which caused even greater damage, washing away Weymouth promenade. In February, the rain kept on falling and parts of Weymouth were flooded. I gave my first blogging workshop and wrote about the bluestockings. Whilst in Yorkshire for a family funeral, I was able to visit Nostell Priory and admire the work of architect Robert Adam and furniture made by Thomas Chippendale. 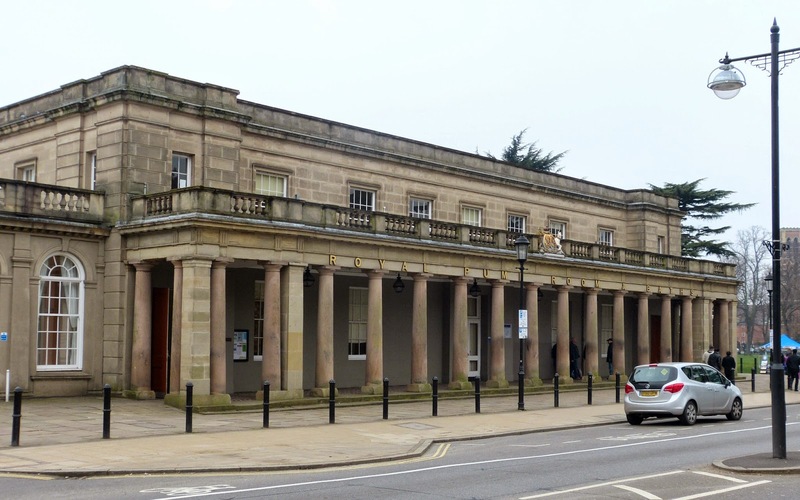 I visited the Georgians Revealed exhibition at the British Library and braved the cold to look round Georgian Leamington Spa. 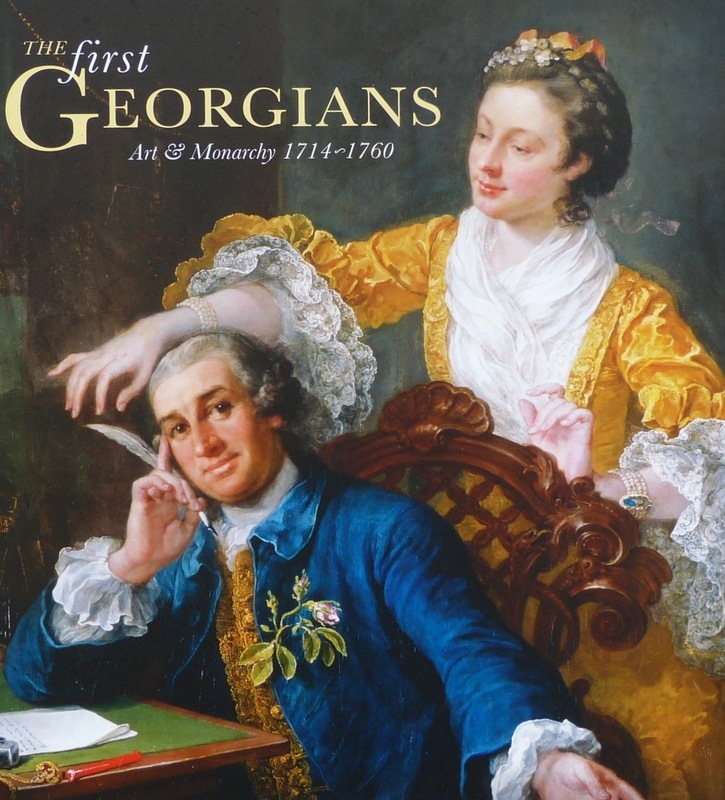 I was invited to a bloggers’ event at the Queen’s Gallery in April and had the privilege of previewing the First Georgians exhibition. I researched the life of actress Mary Robinson who became the mistress of the future George IV and blogged about her. I visited the Georgian fayre at Blandford, which was nice, but not very Georgian, and the wonders of Stourhead. 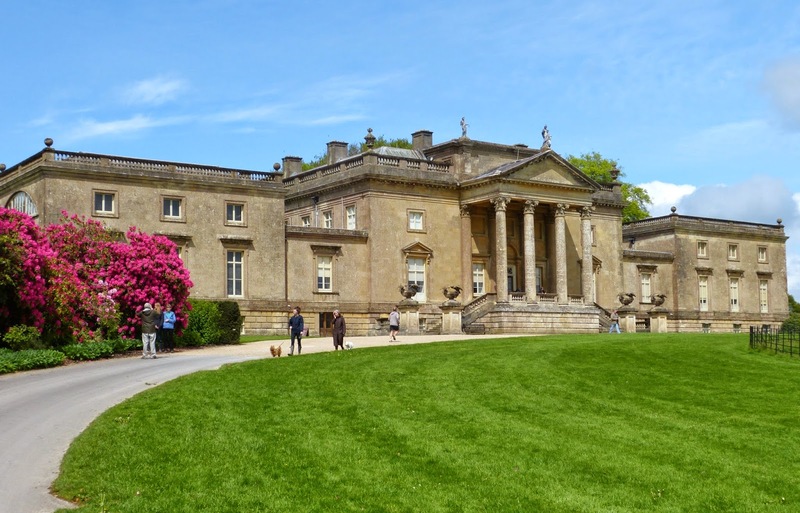 My youngest daughter turned 18 in June and I celebrated my birthday with a visit to Arlington Court in Devon to visit the National Trust Carriage Museum. I blogged about The Sylph by Georgiana Cavendish, Duchess of Devonshire, and was fascinated by what her novel can tell us about her. My favourite June post: What can The Sylph tell us about its author? We had a short break in Plymouth in Devon in July and visited Saltram, Mount Edgcumbe and Cotehele. I also attended a bloggers’ event at Buckingham Palace with a special tour of the state apartments and a preview of the summer exhibition. 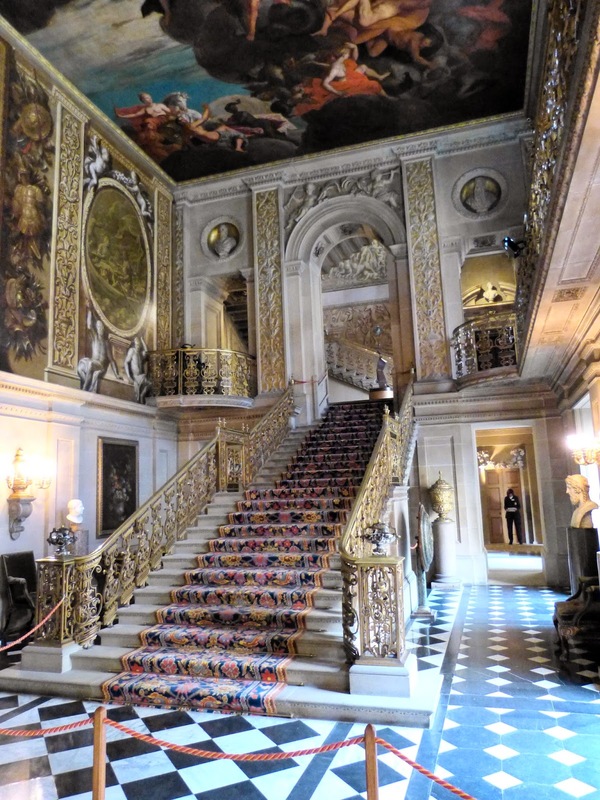 As well as plenty of visits to the Sealife Centre with my grandchildren, I also found time to visit a number of historical places: Haddon Hall, Osterley Park, Sudbury Hall and the National Trust Museum of Childhood (which the grandchildren loved), Kedleston Hall and Uppark. 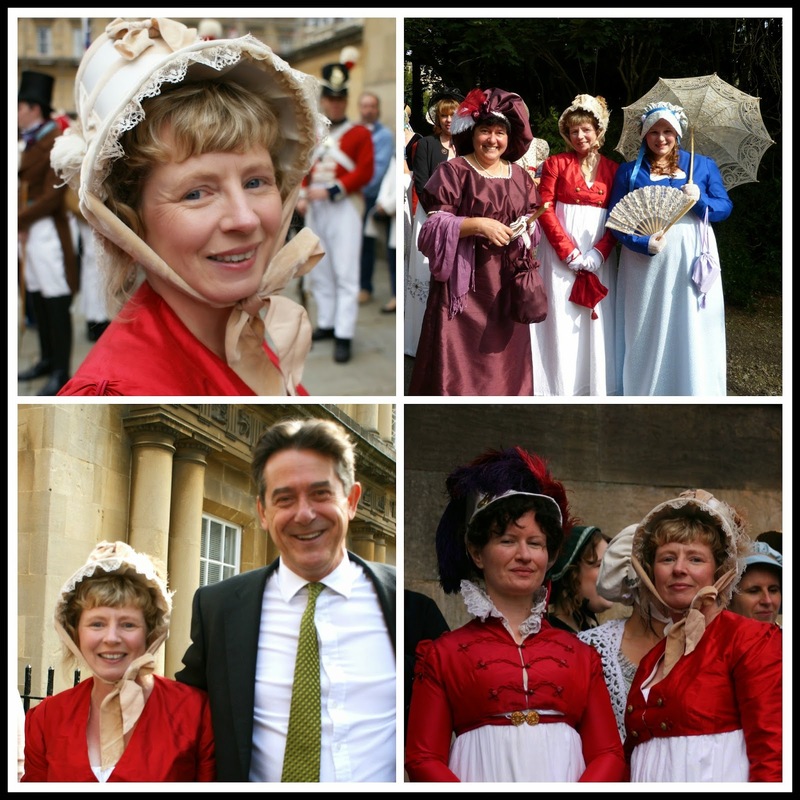 It was very exciting to have my own Regency costume made and I thoroughly enjoyed parading at the Jane Austen Festival Grand Regency Promenade in September, meeting lots of lovely people who shared a love of Regency history and Jane Austen. 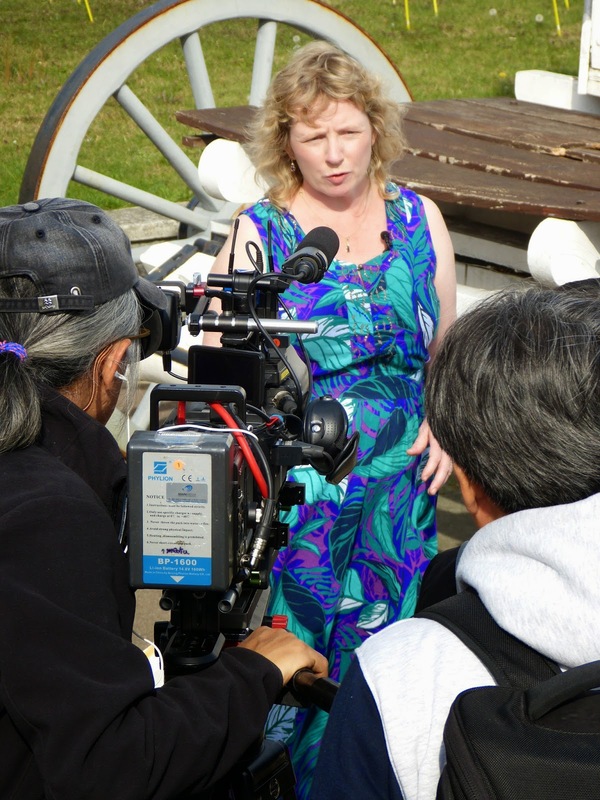 Another highlight was being filmed by KBS-TV, the South Korean equivalent to the BBC, talking about George III and the Georgian fashion of seabathing. A long overdue holiday in Derbyshire enabled me to visit Chatsworth, Eyam Hall and Lyme Park as well as go down a Blue John mine. 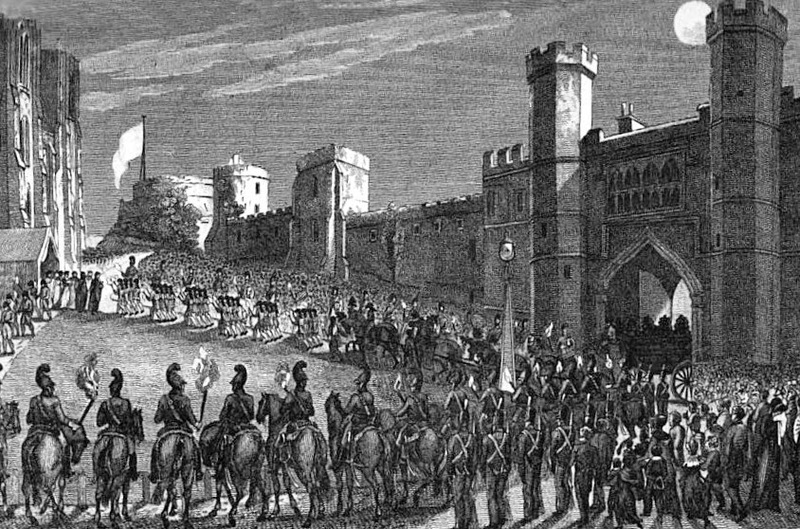 Other visits included Kenwood and The Vyne and a visit to London to join Louise Allen in an event called Writing Historical Fiction the Westminster Way. November did not go according to plan as we had water damage after a particularly violent storm leaving the house in a mess until we could get the roof fixed. I paid a fleeting visit to Kingston Lacy where the National Trust team were busy boxing up the outside ornaments to protect them during the winter closure. 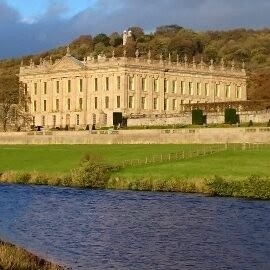 Favourite November post: Regency History guide to Chatsworth and A photo tour of Chatsworth. The roof was finally repaired, a new ceiling put in and we just managed to get the decorating done in time for Christmas. A few days after Christmas, we took our daughter to a wedding in Alton and stopped off at Jane Austen's House in Chawton. Favourite December post: What is the haut ton? I hope you have enjoyed my reminiscences. Have a very Happy New Year in 2015! For 21 of my favourite Georgian posts in 2014 on my fellow bloggers' sites, click here. As the year draws to a close, I have chosen 21 of my favourite posts of 2014 to share with you. 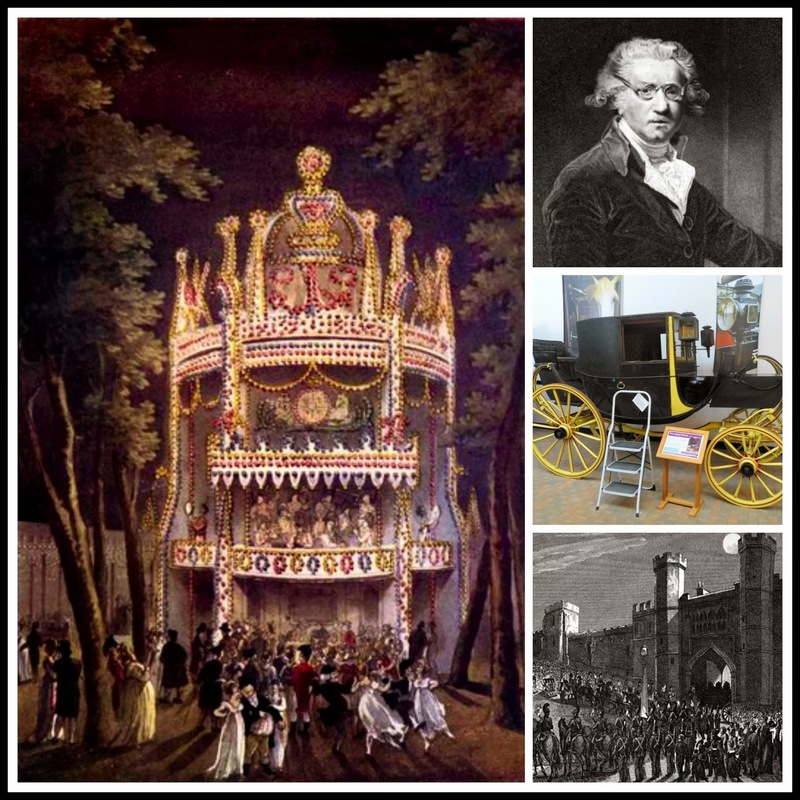 For a review of my year and my favourite posts on Regency History, click here. The discovery of the lost Georgian Marine Baths on Aberystwyth promenade after storms by Susan Fielding on the Heritage of Wales News page. Georgians in spectacles by Sarah Murden on All Things Georgian. Tinted spectacles by Dr Lindsey Fitzharris on The Chirurgeons Apprentice. 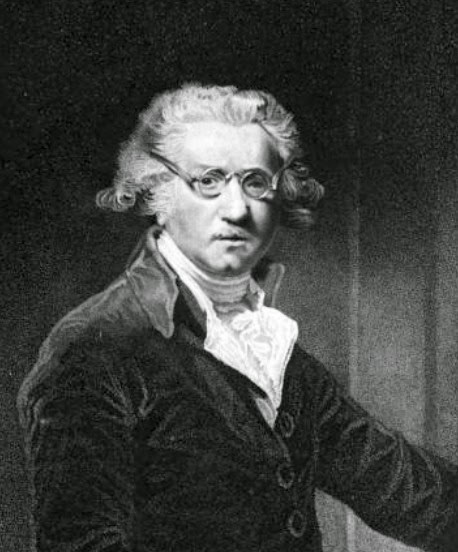 The cost of a funeral in 1786 by Stephenie Woolterton, alias @ANoonDayEclipse on Twitter, on her blog dedicated to the private life of William Pitt the Younger. Mourning in the Georgian era by Geri Walton, alias @18thCand19thC on Twitter. 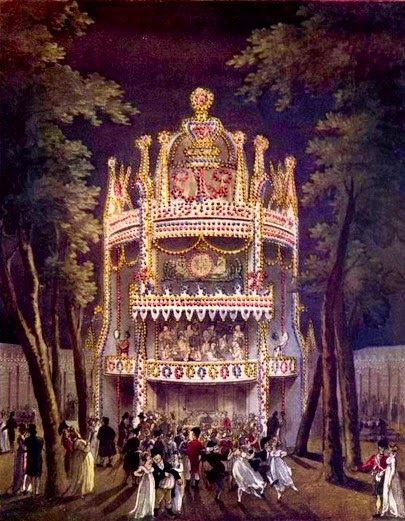 Night funerals by Kathryn Kane on The Regency Redingote. Mrs Fitzherbert’s Grand Tour by Laura Purcell. Madame Gilflurt celebrating the 200th anniversary of the publication of Pride and Prejudice. 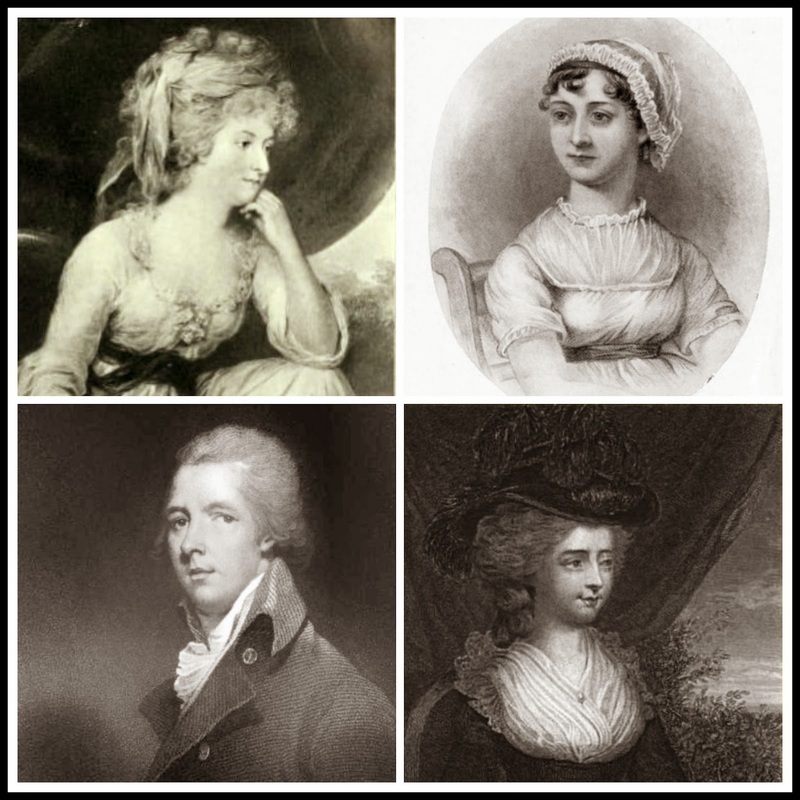 A little insight into the love life of Britain’s youngest Prime Minister by Stephenie Woolterton: William Pitt the Younger’s ‘soft susceptibility’ to Eleanor Eden. The gruesome tale of Fanny Burney’s mastectomy operation – without anaesthetic by Madame Gilflurt. Travel in the 18th century by Mike Rendell, alias the Georgian Gentleman, illustrated with excerpts from his ancestor Richard Hall’s diary and notebook. The hazards of travelling by chaise c1770 on the Two Nerdy History Girls' website. 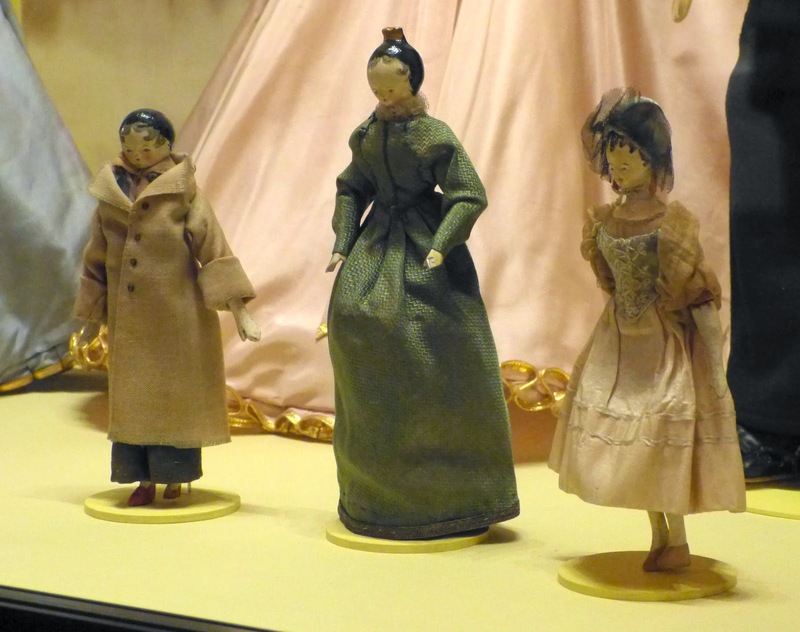 The dangers of travel in Jane Austen’s time by Sarah Waldock. 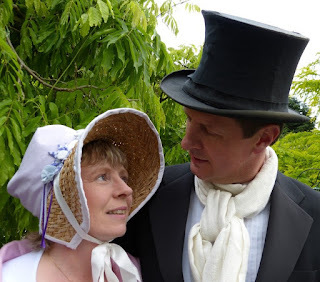 More on travel by Louise Allen, author of Stagecoach Travel, on Jane Austen’s London. Lots of background information on horses by Sue Millard on English Historical Fiction Authors. The big hair styles of the 1770s by the Two Nerdy History Girls in two parts: part one and part two. Calling cards by Regina Jeffers. A lovely description of Vauxhall Gardens from Charles P Moritz’s Travels in England 1782, courtesy of Isobel Carr on History Hoydens. 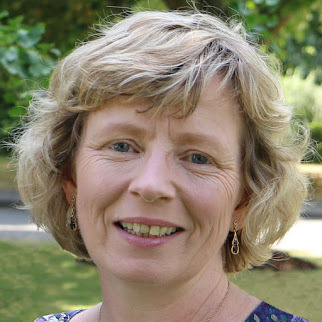 The changing dinner hour by guest blogger Sue Wilkes, author of A Visitor’s Guide to Jane Austen’s England, on All Things Georgian. A helpful guide to quarter days by Linda Banche. Adam Dant’s map of coffee houses by the gentle author on Spitalfields Life. Here are 20 great historic places that I visited in 2014. If you want to have a go at identifying them from the photos, click here to take the quiz before going any further! 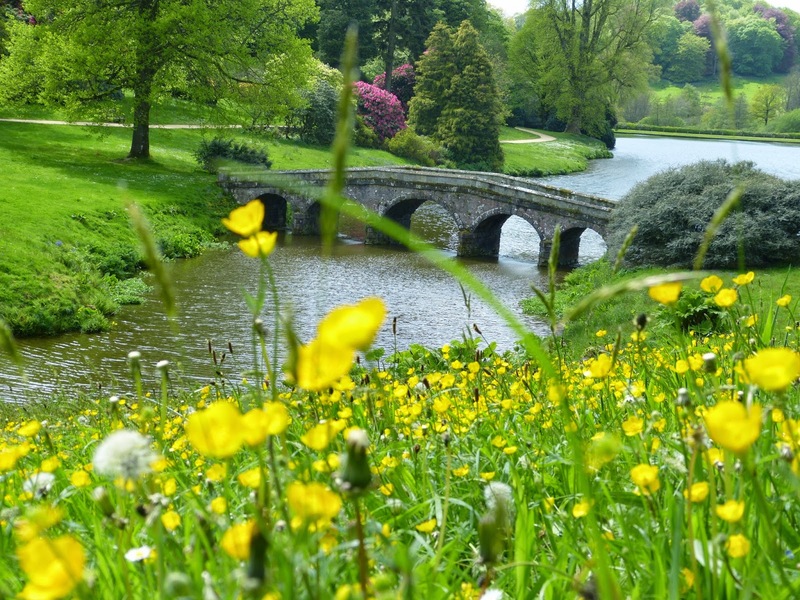 Read more about Stourhead's beautiful landscaped gardens and the life of its owners, the Hoares of Hoare's bank, here. 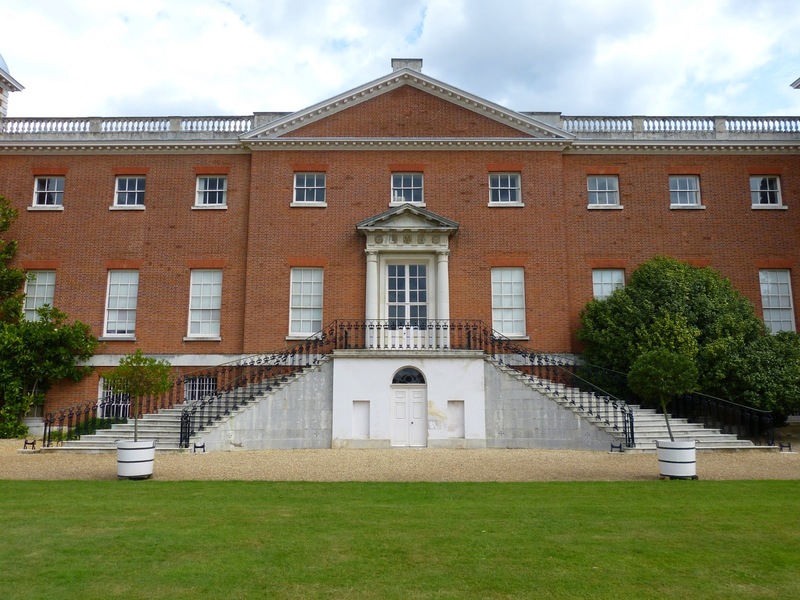 Osterley Park was remodelled by the architect Robert Adam and was the status symbol of Sir Francis Child. When George III stayed in Weymouth in the summer of 1789, he made a western tour and stayed at Saltram. 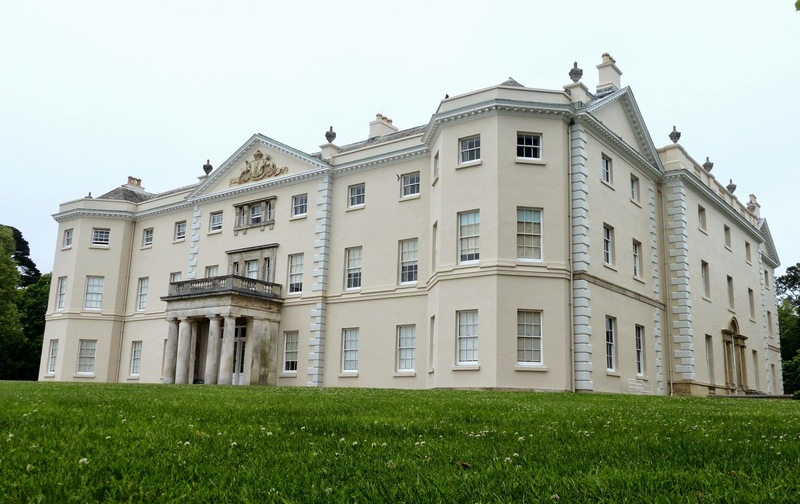 Read more about the Parkers of Saltram and their house here. 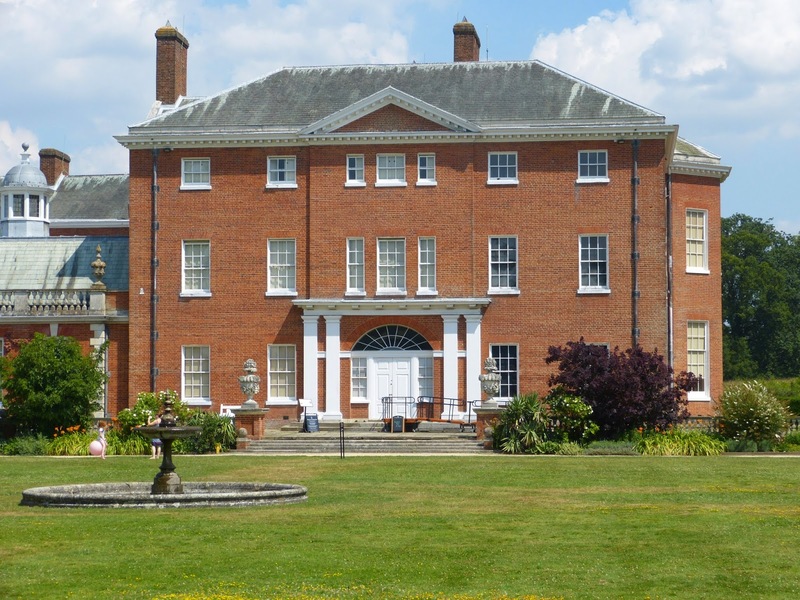 Sudbury Hall is home to the National Trust Museum of Childhood - a great family day out with interactive displays. You might recognise the interiors of the house which were used for Pemberley during the filming of the 1995 BBC adaptation of Pride and Prejudice. 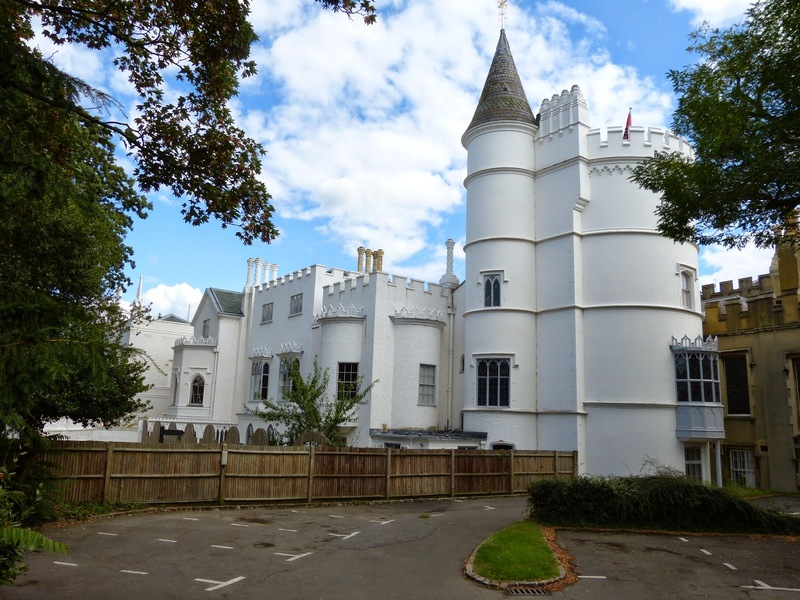 Horace Walpole's Gothic palace - Strawberry Hill in Middlesex - was as incredible as I had hoped it would be. 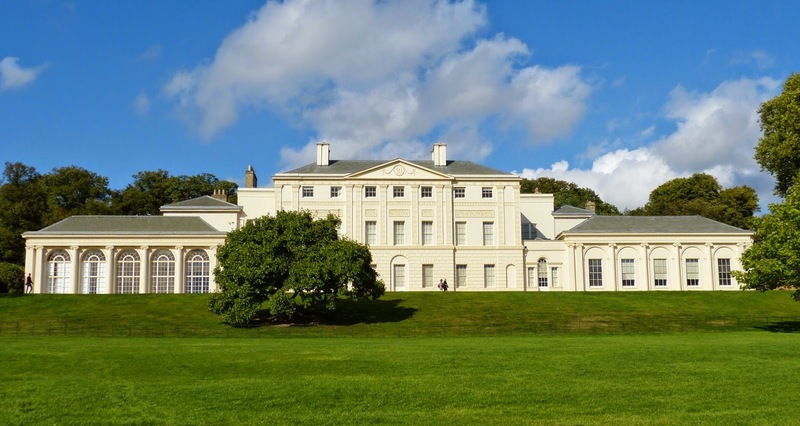 The newly restored Kenwood House was the home of Lord Mansfield and is under the care of English Heritage. Chatsworth is the magnificent home of the Duke of Devonshire and was once home to the charismatic Georgiana Cavendish, Duchess of Devonshire, a leading light in the Georgian ton. Read my guide to Chatsworth here and see a photo tour of Chatsworth here. Discover more about Georgiana here. Arlington Court in Devon is home to the National Trust Carriage Museum. 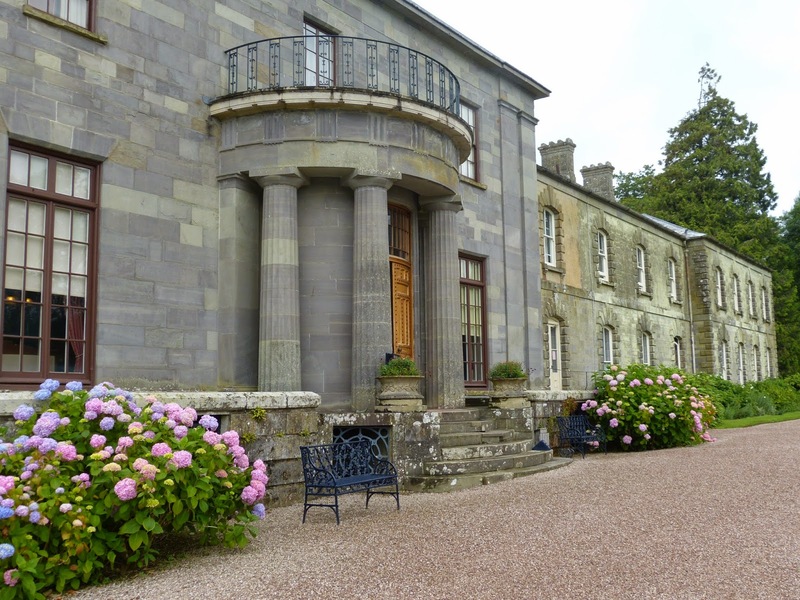 Read more about Arlington Court here. 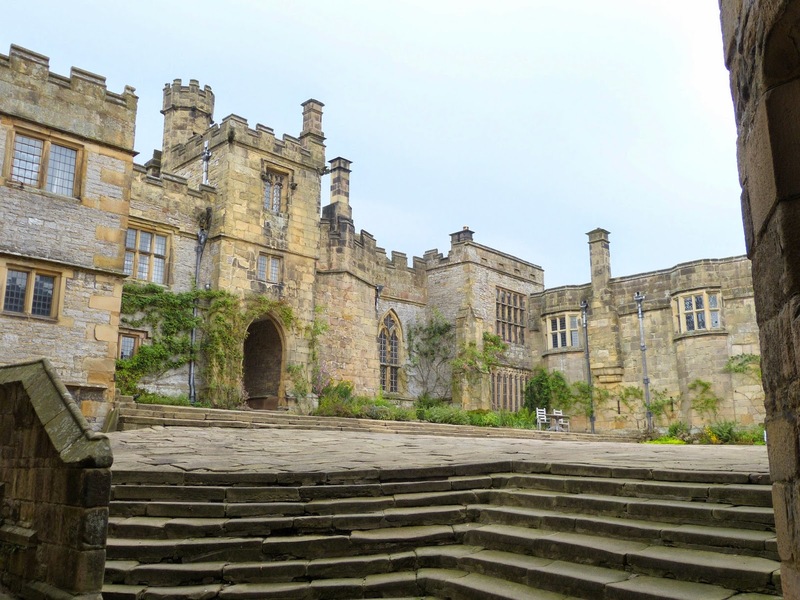 Haddon Hall has been used as a film set on numerous occasions, and has repeatedly been used to depict Thornfield Hall in adaptations of Jane Eyre. 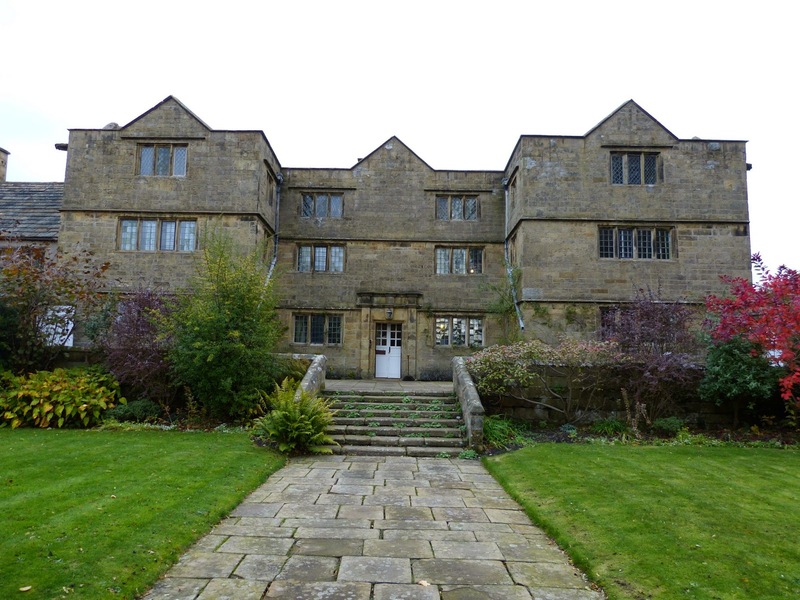 Read more about the history of Haddon Hall here. Eyam Hall in Derbyshire is a relatively humble property built in the village of Eyam, a community devastated by plague just a few years before. Eyam is in the care of the National Trust. Lord Onslow's magnificent Surrey home - Clandon Park. The Edgcumbe family's Tudor home in Cornwall was visited by George III and Queen Charlotte in 1789. 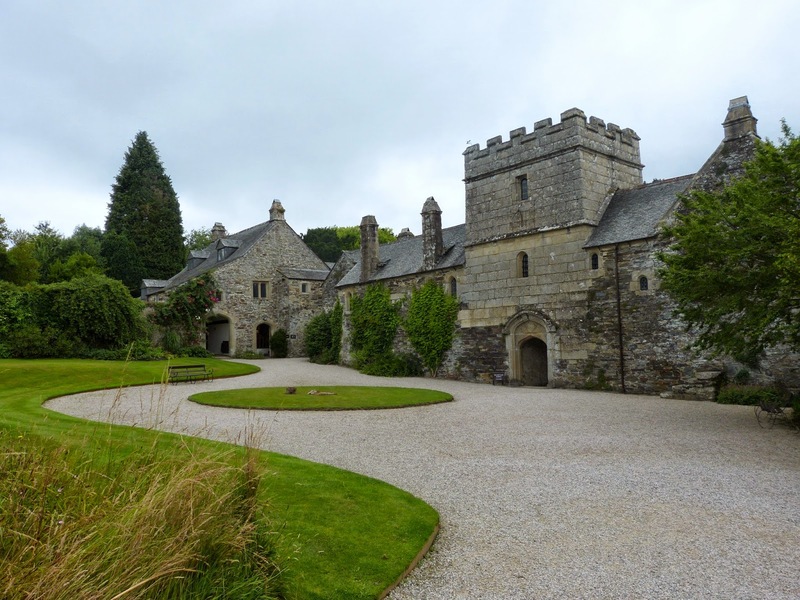 Read more about Cotehele here. 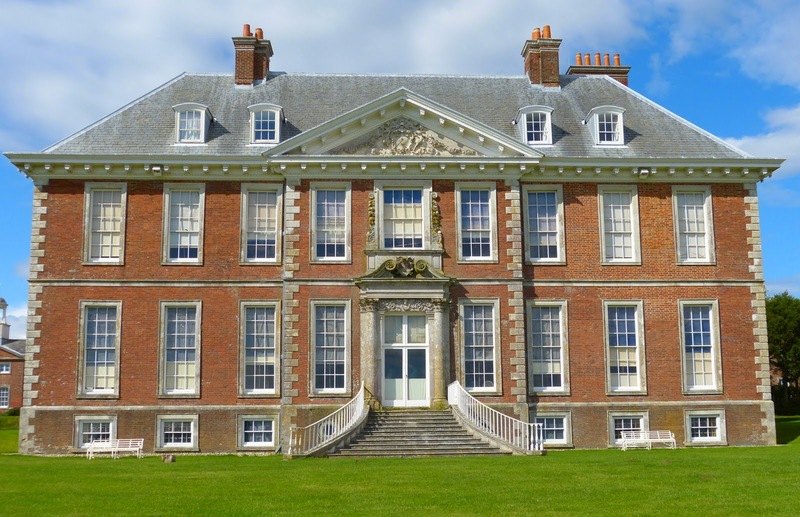 Uppark was ravaged by fire in 1989 but has been lovingly restored by the National Trust. Just across the water from Plymouth, Mount Edgcumbe was the Tudor home of the Edgcumbe family and was devastated by bombing and fire during the Second World War. 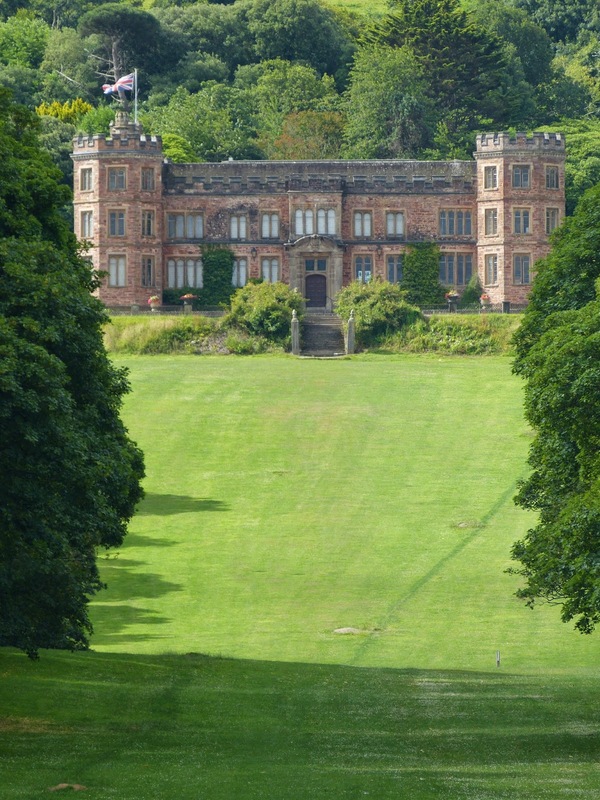 You can read more about Mount Edgcumbe here. 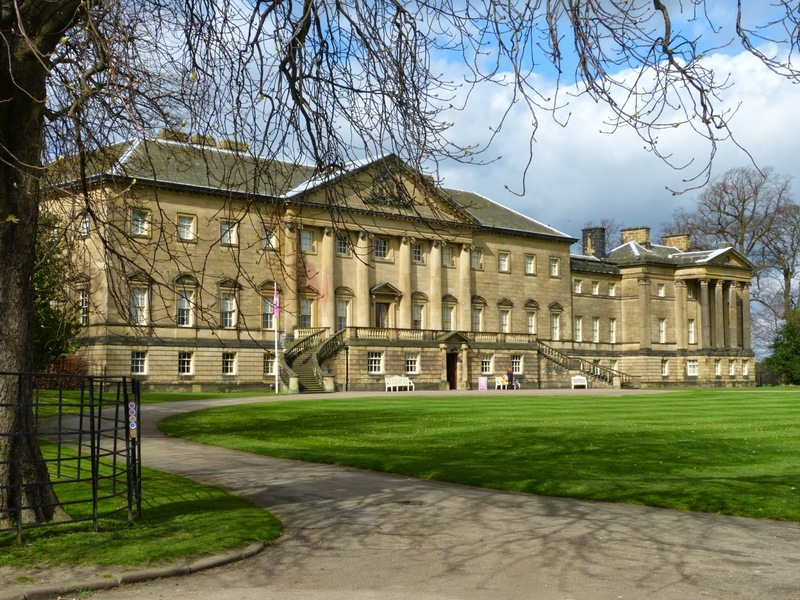 Nostell Priory in Yorkshire boasts a large collection of Chippendale furniture as well as stunning interiors designed by Robert Adam. 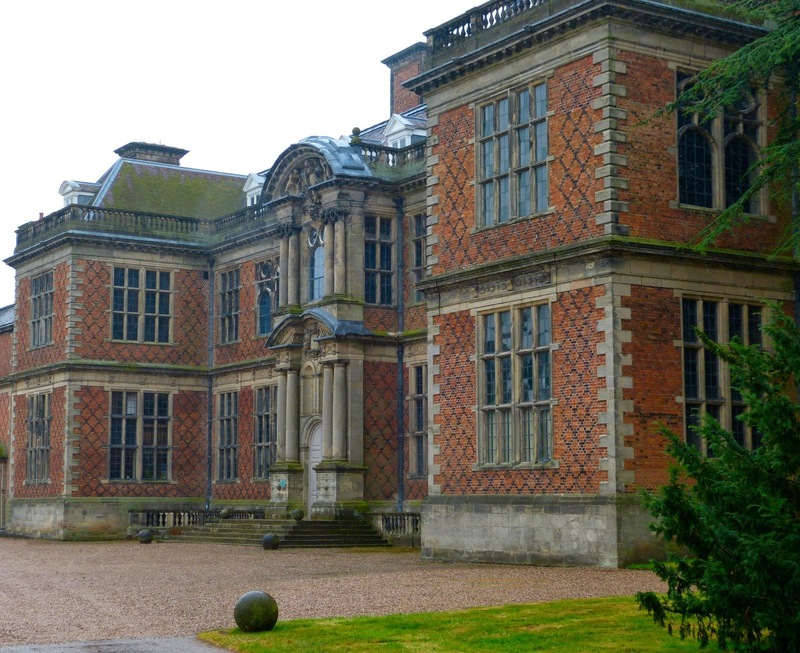 Read my guide to Nostell Priory here. 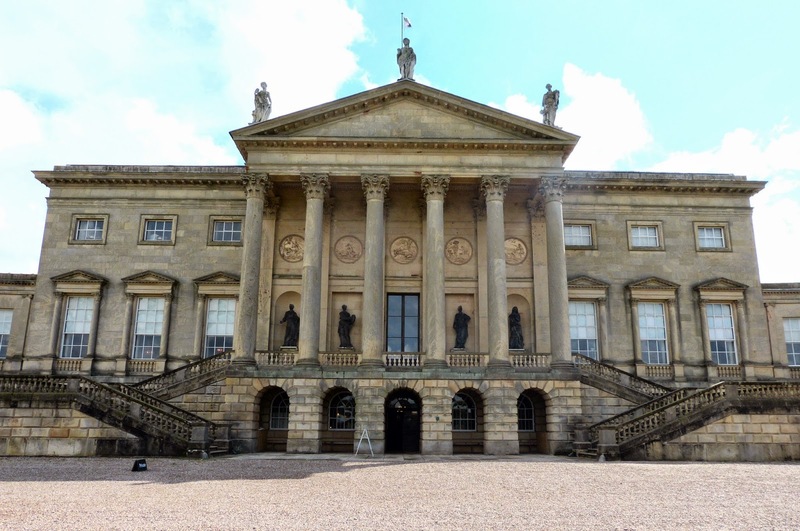 Kedleston Hall is another showplace for the architect Robert Adam. It was a major film location for The Duchess, starring Keira Knightley. I visited Hatchlands on one of the hottest days of the year! It was the home of one of the bluestockings, Fanny Boscawen. Sadly her husband, Admiral Boscawen, died just two years after it was completed. I have wanted to visit Lyme Park again for a long time and finally got my chance this autumn when we were staying in Derbyshire. 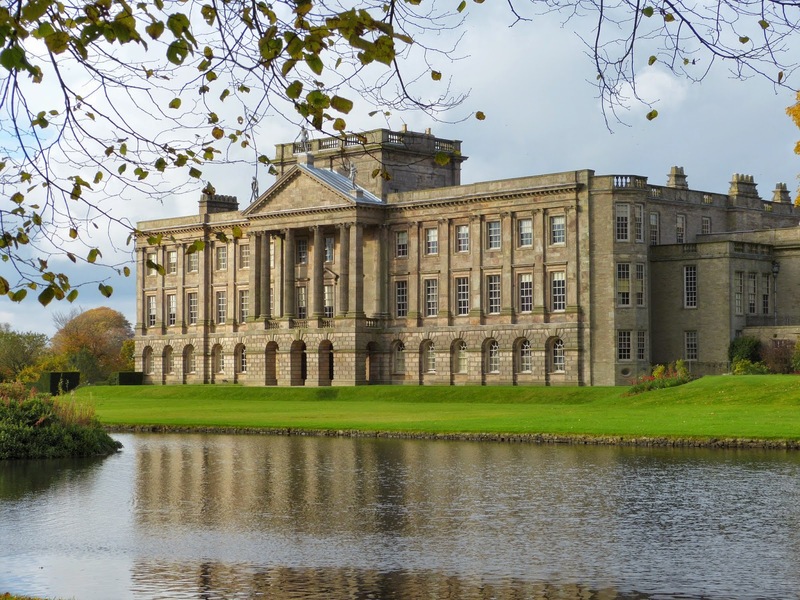 The exterior of Lyme Park represented Pemberley in the 1995 BBC version of Pride and Prejudice. The view above awed Lizzy Bennet and I have to say that I can see why! Unfortunately this was the best photo of The Vyne that I could get as the outside was covered with scaffolding when I visited! 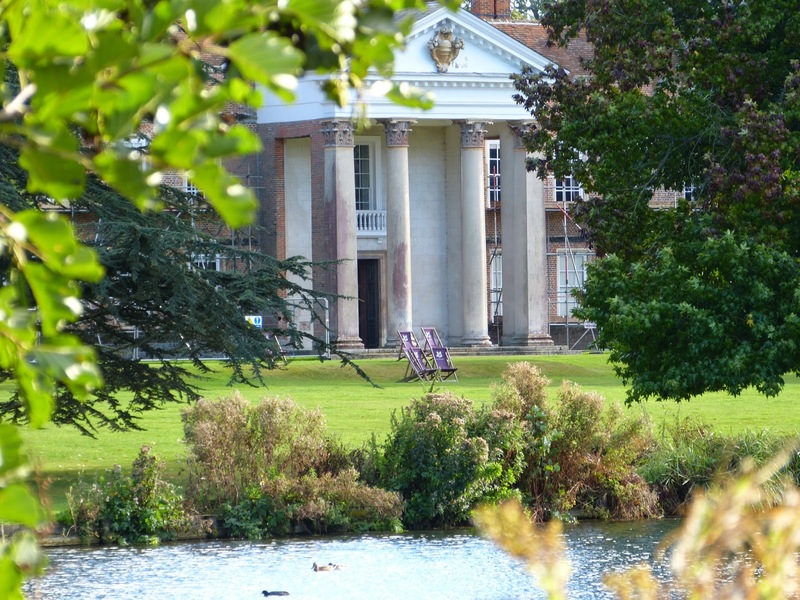 The Polesden Lacey estate was once leased by playwright and MP Richard Brinsley Sheridan. Mr and Mrs Greville transformed the house into an Edwardian showpiece where they entertained royalty. 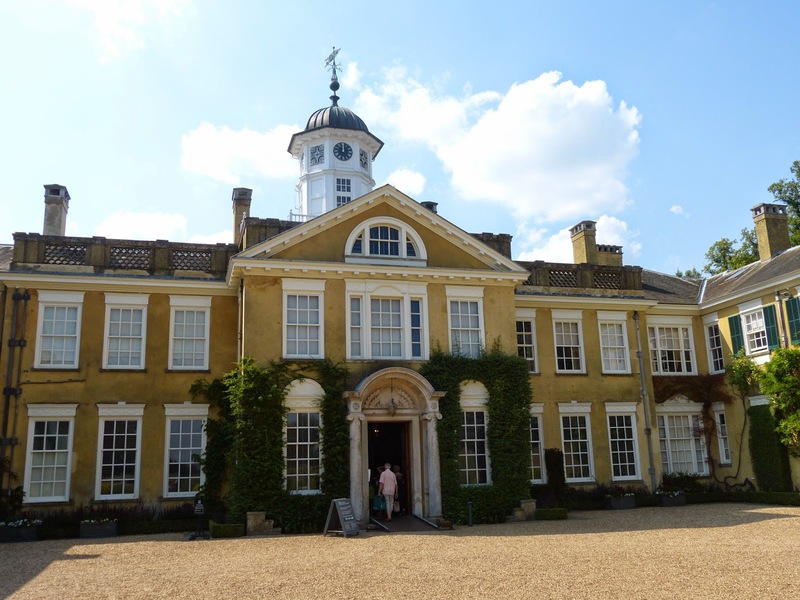 Read more about Polesden Lacey in my Regency History guide here. I have visited a huge number of historic properties in 2014, some of which I have already blogged about, and some of which are blogs waiting to happen! Here is my top twenty. Can you name the places I have visited from the pictures below? If you need a few clues, there is a list of all the places below the pictures. Answers here. I started the year with a visit to Nostell Priory in Yorkshire with its exquisite Adam interiors, followed by a visit to Stourhead with its world famous landscaped gardens. 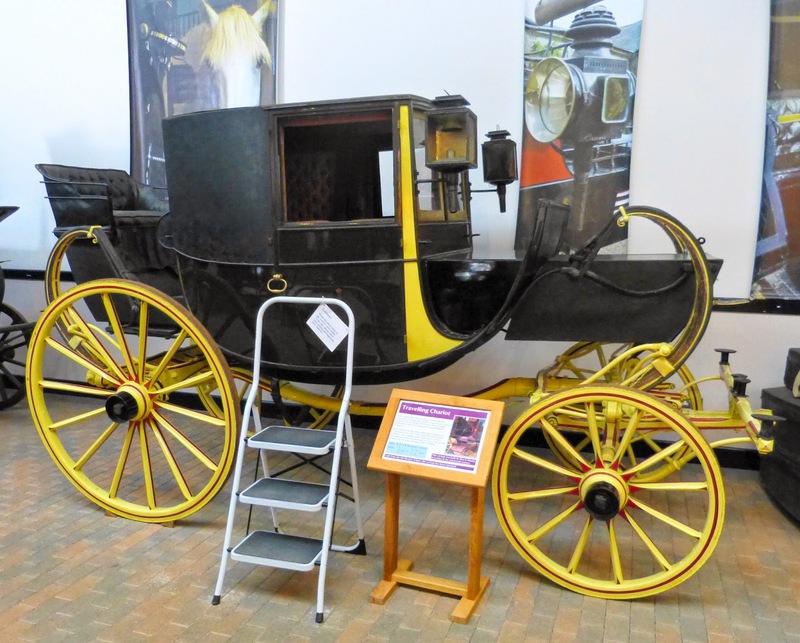 My birthday treat was a visit to Arlington Court in Devon and the National Trust Carriage Museum, where I was particularly taken by a travelling carriage complete with the Georgian equivalent of a roof box! A short break in Plymouth enabled me to follow in George III’s footsteps, visiting Saltram where he stayed in 1789, and Cotehele and Mount Edgcumbe, both of which the King visited during his stay. 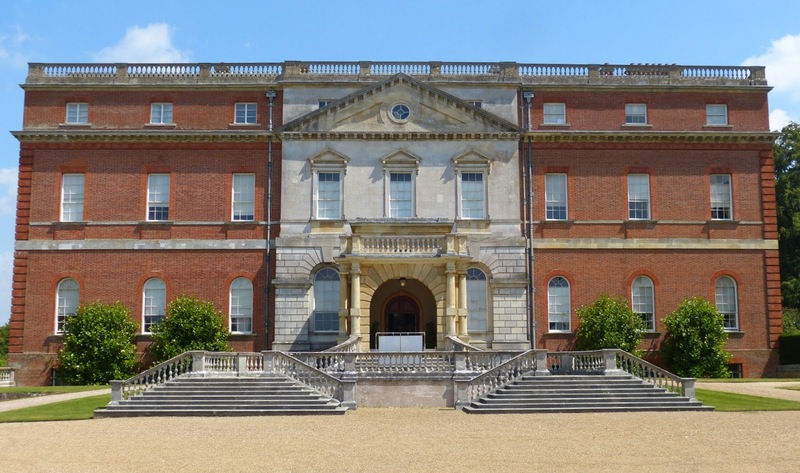 My July travels took me to Surrey: Clandon Park where Frederick, Prince of Wales, dined in 1729; Hatchlands built for Admiral Boscawen and his bluestocking wife Fanny; and Polesden Lacey, the estate which was once leased by Richard Brinsley Sheridan. Later in the year I visited Uppark, restored from the devastation caused by fire in 1989, and The Vyne, once visited by Henry VIII. Several of the places I visited this year have been used as film locations: Haddon Hall, repeatedly used as a film set for Jane Eyre; Sudbury Hall, where the internal shots of Pemberley in the 1995 BBC version of Pride and Prejudice were filmed and Lyme Park where the external shots were filmed; Kedleston Hall where part of The Duchess was filmed; and Chatsworth used in the 2005 film version of Pride and Prejudice. I visited the magnificence of Horace Walpole’s Strawberry Hill; Osterley Park, the showplace of the Child family; and Kenwood House, once home to Lord Mansfield and his illegitimate great niece Dido, subject of the film Belle, as well as the more modest Eyam Hall in Derbyshire.